Here's the interesting part. 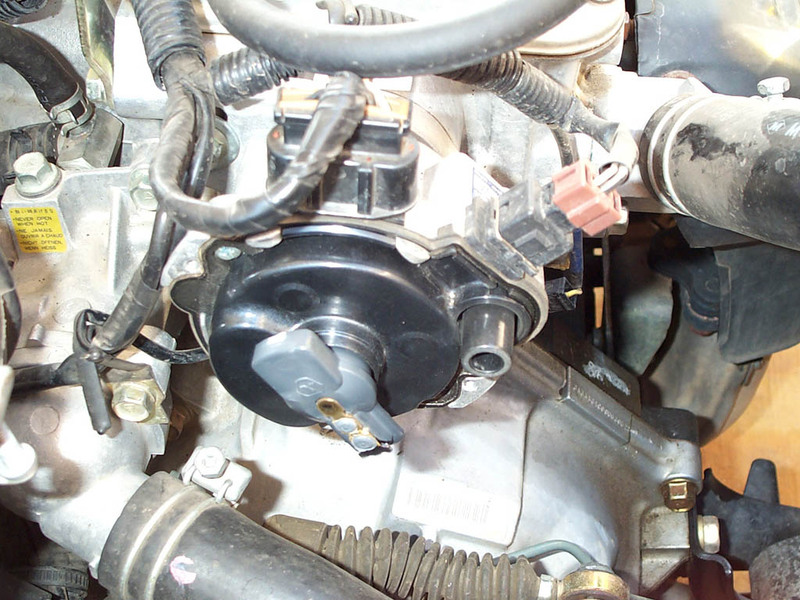 Replacing the distributor cap and rotor early isn't a bad idea. 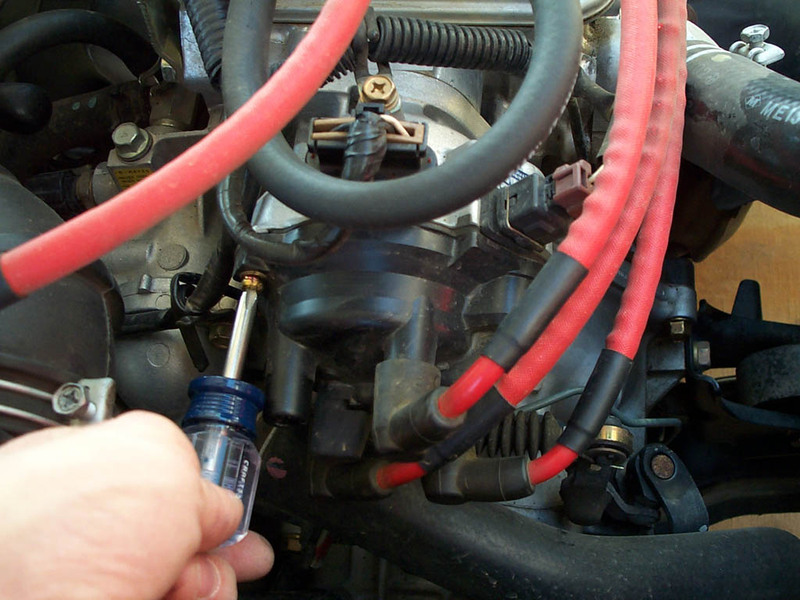 You should notice a boost of torque after replacing them. So I replaced them every 30,000 miles. It is up to you. These steps are the same for 90% of distributor caps out there. Some have clips instead of screws or bolts. Some older ones have points inside to replace. But this is good stuff to know. 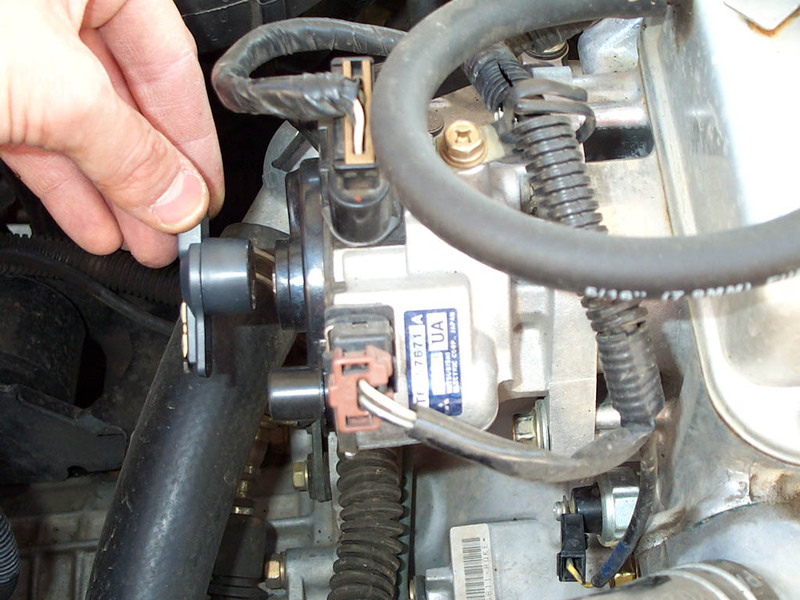 Orientate the new distributor cap the same as the one on the car. 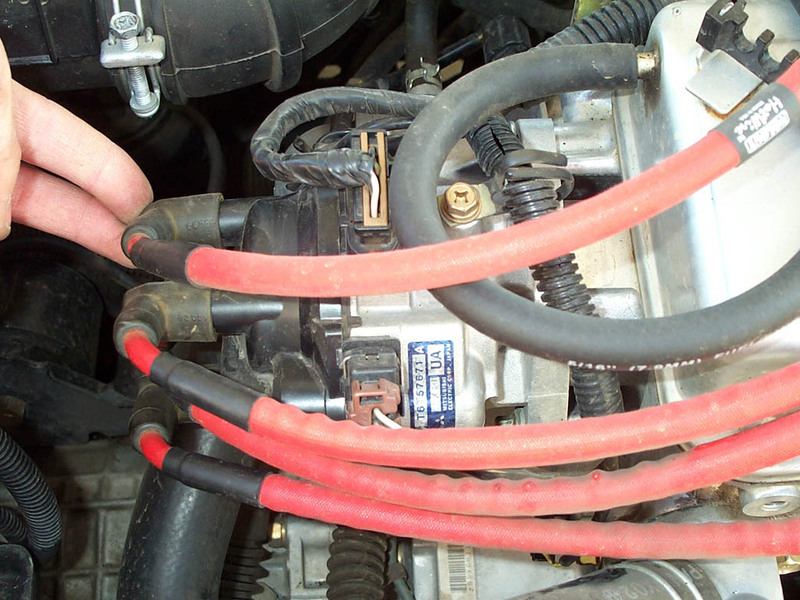 Move the spark plug wires over to it one at a time so you don't forget where they go. 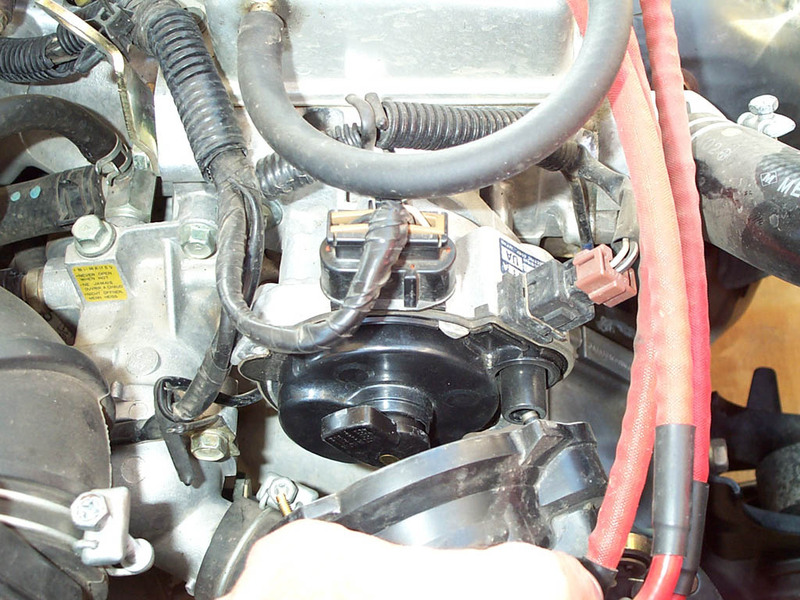 Set the new cap on top of the engine so it is out of the way and do your best to keep the inside dust-free. 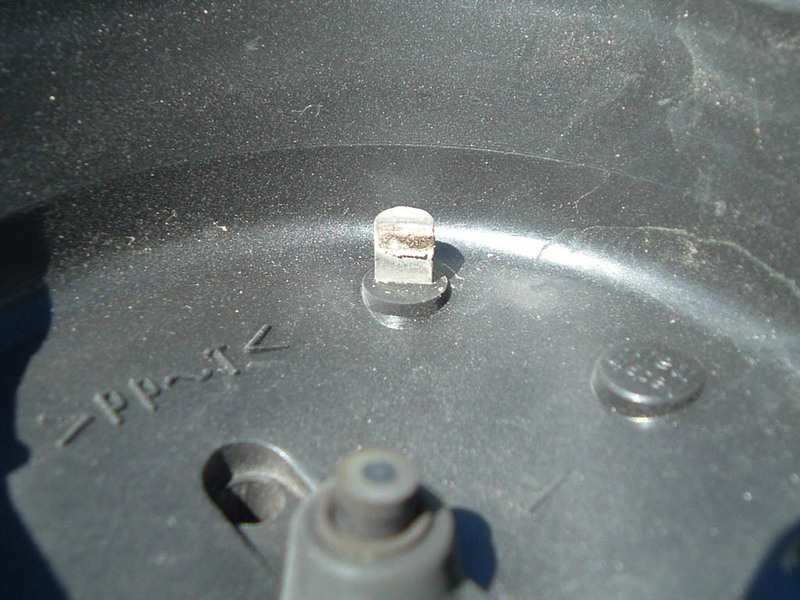 Next, Un-screw the two screws holding the distributor cap on. 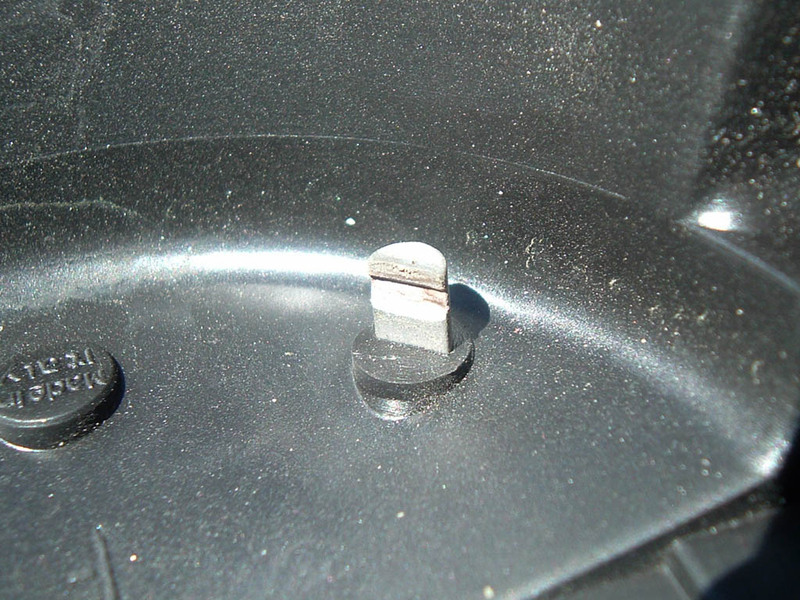 OEM caps have screws that stay in the cap, aftermarket caps have screws that will fall out (just an FYI.) 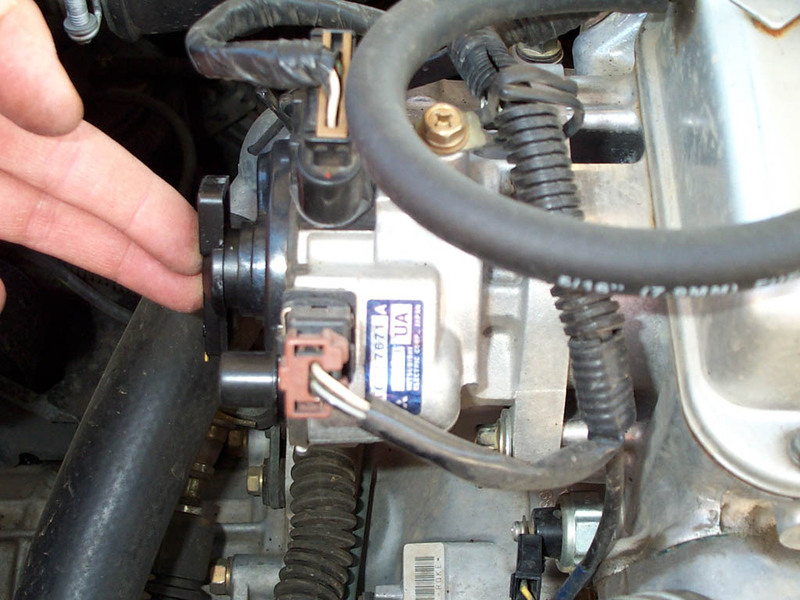 Check the contact points and you should understand why replacing these parts helps. Take the car for a test drive and you are all finished!